Migrator's note: 'User' is the original poster of this tutorial. For this tutorial, we will try to make a box into the game. First, we will make a simple model which is a box. We will follow the following steps to create a box. We will make the dimension of the box to 200cm x 200cm x200cm. We will input the dimension in the parameter input area as show in the picture below. 2 meters are represented as 200 unit. Now, we will change the name of the object to b_testing_t1_l1. This name is not really official, but it is OK for a tutorial purpose. Please refer to the official documentation for a proper naming. Note that, we will only make a L1 object. This is just to demonstrate how the modding tool works. You are encourage to use all the LODs in the model. This will help to maintain the performance of the game. Using one LOD (with large number of triangles and detailed texture) will slow down the game and affect the performance. Also, the material size is a bit too large for model, please use the correct picture size as specific in the modding document. We will now applying the texture. We press "m" to get the material editor. For the material in first slot, we will change the name of the material to b_testing_t1_l1., which match the object name. 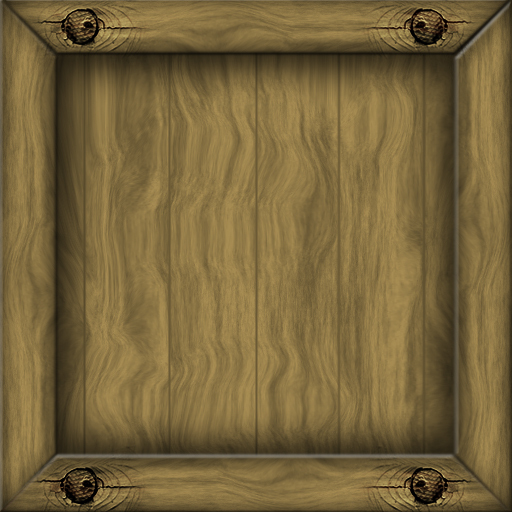 You will also need to rename the texture file to b_testing_t1_l1..
We will use the following texture for the box. Please save the texture in the folder where you specific when you install the modding tool. We will hit the button behind the "Diffuse" map (The button got nothing on it). Then, we will choose "Bitmap". A file selector dialog will pop out. Browse to the folder which contain the texture above and select it. After you select the file, you will notice the parameter option is changed. You can always go back to the original parameter panel by selecting the name from the drop down box as shown below. Now, we will apply the material to the object. Just drag the material to the object as shown in the picture below. To show the material on the object, hit the button labelled "2." as shown below. Now it is the excited part! We will now exporting the model. First, we will right click and select "Unhide All". Of course, there isn't any hidden object in this example. But it is good to check. Then, we will hit the purple viewer button. After a few seconds, the viewer window will appear. At first, you might be surprise to see something white and wonder when did you model that thing. That is actually the "sun arrow". It indicating the direction of the sun. So don't worry about it. Now we will check whether the model is correctly converted. You can open the graph inspector as shown in the picture below. If the model is correct, you will see the item in the graph inspector similar to the one below. We also can use the "Check .sgxlm file" function to see if we got any errors. Of course, we didn't using any lightmap or normalmap texture in our testing model. So it isn't surprising to have those errors. However, it will not be fatal for our small testing mod. After that, we will hit the "Save Scene" button and will save the model in .sgbin format. For those with modding experience, you will know what to do after this. Otherwise, stay tune for another tutorial!